Diwali celebrations can be given a personal touché through personalized Diwali Homemade Greeting Cards signifying the victory of good over the evil within every human being. 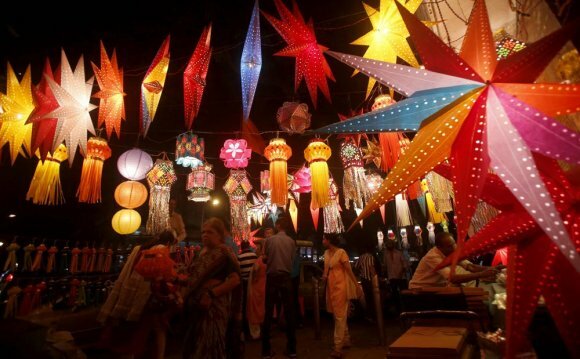 Many readers aren’t aware of the Diwali festival; Diwali is known as the festival of lights and is regarded as the most significant festival in the Hindu Religion, signifying the victory of good over evil. The celebration is full of grandeur and dazzle, characterized by lights, diyas, lighting candle, sweets, good food, crackers, fireworks and most of all, lots of love and care sharing. Diwali celebrations can be given a personal touché through personalized Diwali Homemade Greeting Cards signifying the victory of good over the evil within every human being. This year make an exception and have a homemade card which would carry your personal insignia holding your unique imagination in creating a variety of new and innovative designs. This homemade Diwali greeting card can be exchanged with loved ones. And to those who are near and dear. Its just one week to Diwali, and everyone is already excited about buying new clothes, sweets, greeting cards, lanterns, gifts, crackers ……. hhmmm ….. crackers …. lets get straight to the point.